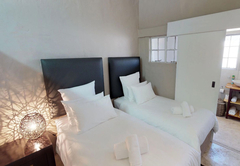 Swartberg Pass Cottages is a B&B with self catering option, providing accommodation in Oudtshoorn for tourists visiting the Karoo region. 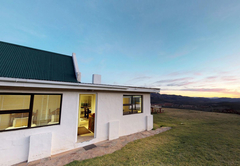 Overlooking the Swartberg Mountains, these cottages offer total relaxation in a homely environment. Panoramic views ensure breathtaking sunrises and sunsets for all nature lovers. Nearby activities include bird watching, wine tasting, cycling, guided walks and mountain biking. There are braai facilities and off street parking is available. 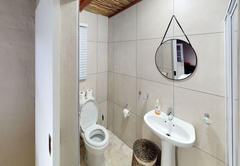 Luxurious cottage comprising of 2 bedrooms, each with its own bathroom. 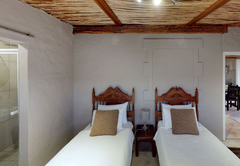 The cottage has a King-Sized bed, a single bed, and for an additional two guests, a sleeper couch. 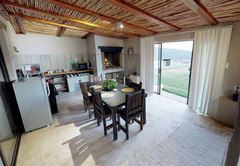 There is a fully equipped kitchen and indoor braai area. 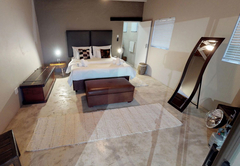 Our family unit sleeps four guests in two en-suite bedrooms and has a kitchen and indoor braai facilities. No self catering facilities are available in this cottage. 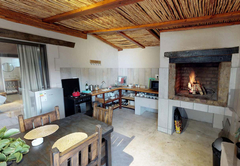 Our on site restaurant, Kobus se Gat, offers fine Karoo cuisine during the day and braai packs can be purchased for dinner. 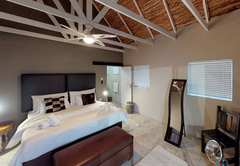 Luxury family cottage with 2 bedrooms, 2 on suite bathrooms, kitchen and indoor braai facilities. 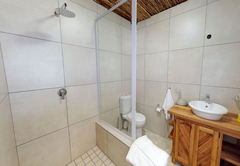 Response timeSwartberg Pass Cottages typically responds to requests in 5-10 minutes.